Blitzer.de is Europe's biggest traffic community with over 4 million active users. Join us and profit from warnings of accidents, ends of tailbacks and road works. 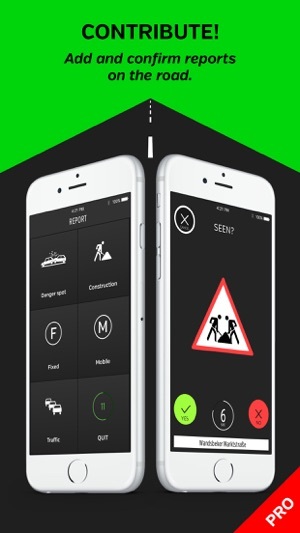 Activate Blitzer.de before starting your trip and receive live updates about dangers in your immediate surroundings on your iPhone. 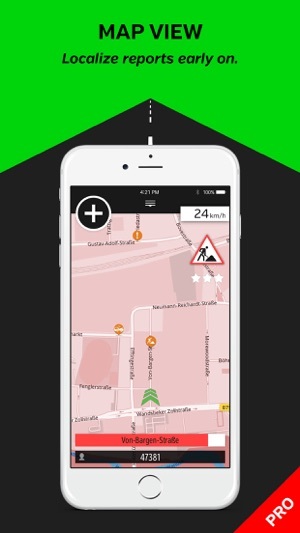 Blitzer.de makes your ride relaxed and safer. 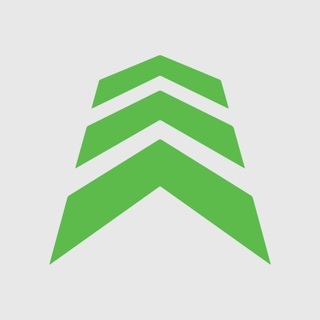 Biggest and best known traffic community with over4 million users. Usable even without an internet connection (e.g. abroad). All real-time reports are editorially verified. Traffic jams, accidents and road works. Optimized modes with best possible readability. 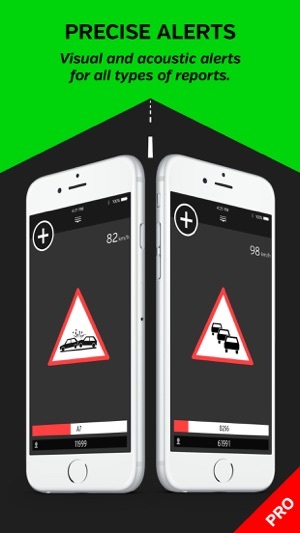 No unnecessary distractions from traffic, ideal for usage in your car. All functions are self-explanatory. Within the first 14 days after installation you can test the alert and update functions of the app for free. 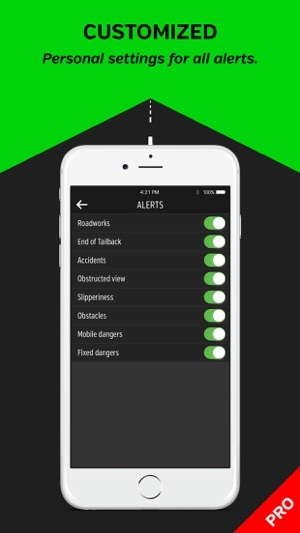 Following the 14-day-trial you'll still receive unlimited updates and alerts of fixed dangers (like long term roadworks) in Europe, even without the in-app purchase. 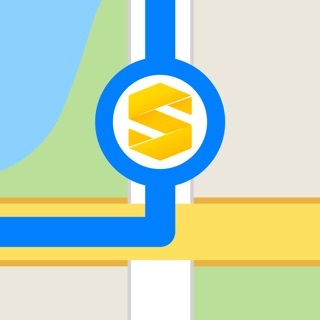 After having completed the in-app purchase for only 9.99 EUR you'll enjoy unlimited updates of mobile dangers like end of tailbacks or daily roadworks. You want more? Blitzer.de PRO offers more functionality! Localize dangers early on the map. Turn your iPhone 90° for a better overview. Dimmed view for even less distractions during night drives. Clearly audible alerts informing of upcoming dangers. 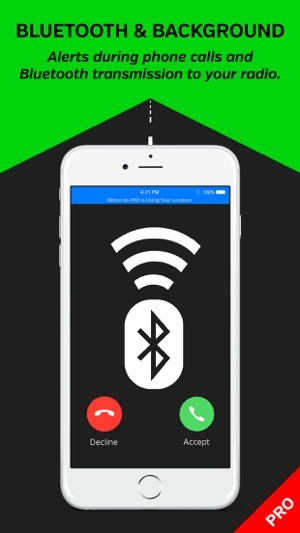 Alerts also during phone calls and during the usage of other apps. Alerts can be transmitted to the audio system in your car (HFP, A2DP). At only one tap your favorite danger mode starts.